Doing it right! 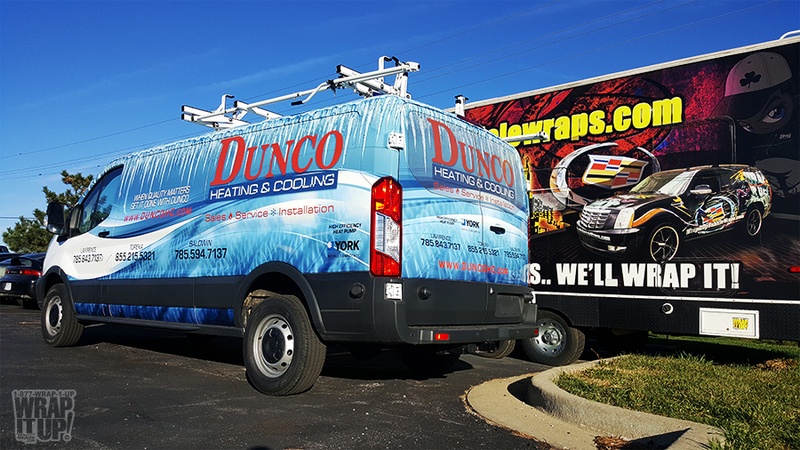 We are adding another van wrap to the growing fleet at Dunco Heating and Cooling. Dunco knows the power of branding and marketing. You loose countless of marketing possibility and opportunities when you allow your blank vehicle to sit there or to drive around without your information on it. It is going to start getting a lot colder soon so make sure you contact Dunco Heating and Cooling to make sure you are ready for the lowered temperatures. Thanks Dunco!